Sehban Azim played Dr. Yuvraj as one of the main lead on Star one Dill Mill Gaye. 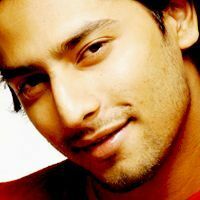 Check out the most updated and latest information about Sehban Azim's on the Internet.We have 7 videos of Sehban Azim including interviews, events, or public appearances.Sehban Azim has over 293 Fans registered on India-Forums.com. We have 188 Television News articles related to Sehban Azim.Do share your criticism, comments and feedback for the Actor on Sehban Azim's comments page. We have over 38 Photos of Sehban Azim to view and download including Sehban Azim's Wallpapers. Sehban Azim - hoping to see more screen space. Sehban Azim is doing great as Malhar Rane in Tujhse Hai Raabta.